The biggest challenge a quilter has, in my opinion, is what design to use when quilting the finished sandwich. For some, the job is just too big and the tops are sent to a long-armer to finish. But if you want to do it yourself but don’t know where to start, this book will make that first step easier. 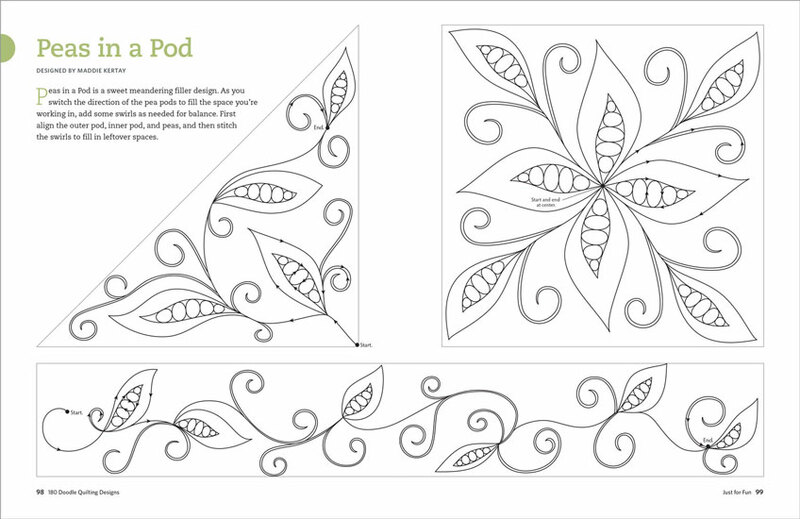 With 180 different designs, you should be able to find one that fits your quilt. The are two pages of how to use the book and it shows beginning with a pad of paper and a marker. Try out the motions of the design on paper. Once comfortable with that, make a small sandwich of your materials and quilt the design on it. When all of this is done and you feel ready, it is time to tackle the quilt itself. The very first design is one that needs no marking and has no straight lines. Perfect for any quilter that feels less that steady at quilting the real thing. It even shows the direction you need to go to make it a continuous line design. 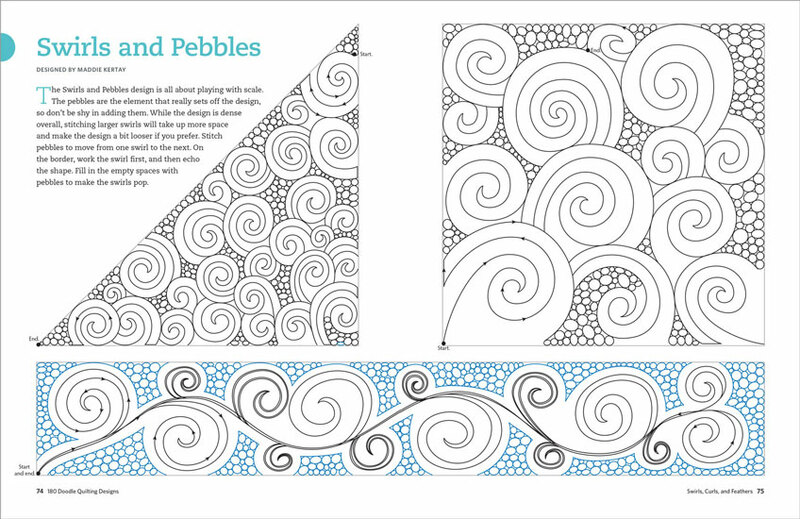 Lines, circles, rectangles, waves, loops and a host of other motions make up the 180 designs. 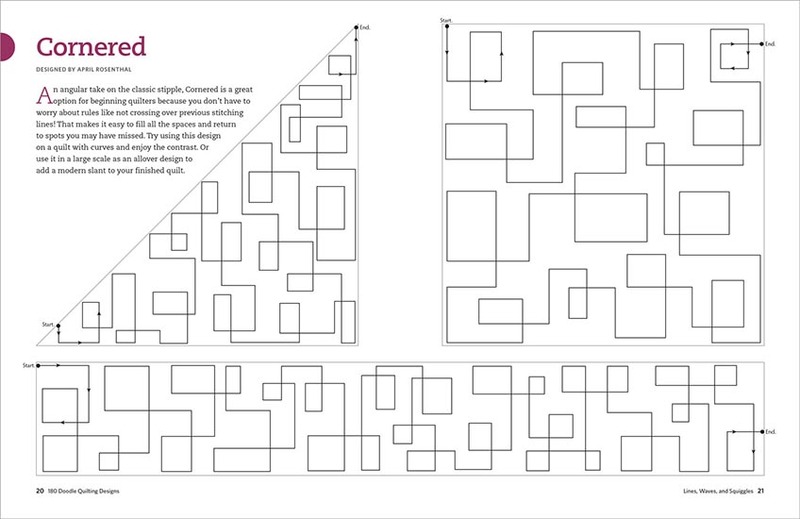 From simple to more detailed, these designs will make quilting your quilt easy. This is a great book. I like that it gives you ideas for blocks, triangles and borders. No matter what level of quilting you are at there are lots of ideas. I use this book a lot for inspiration! 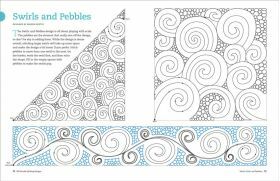 This book is a wonderful reference for new doodles , many new designs and how to doodle. Instructions are user friendly and easy to follow. This is such a fabulous book. Although I'm proud to be one of the contributors, there are so many designs from my fellow contributors that I've never seen before. I'll be putting many of these designs to use on future quilts. I especially love how the motifs are shown in multiple ways on different shapes - it makes them extremely versatile. Beautiful book with detailed illustrations. 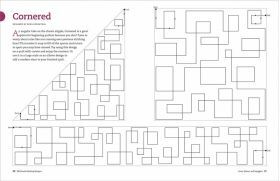 No matter how comfortable you feel about free motion quilting it is easy to get started with Karen's instructions. From beginning to advanced quilting, the only limitation is yourself and not purchasing this book to guide you through the process. Even the most fearful quilter will be inspired and encouraged to take the leap into free-motion quilting with this book at her (or his) side! And with pattern names like "I'll Always Olive You" and "Fire Breather", who could resist trying out some of these designs on your next quilt. 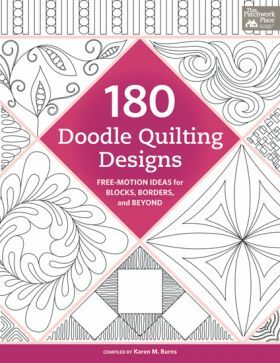 180 Doodle Quilting Designs: Free-Motion Ideas for Blocks, Borders, and Beyond provides a fine survey of free-motion quilt finishing techniques for those who have pieced their quilts and want a range of ideas for traditional and modern designs. 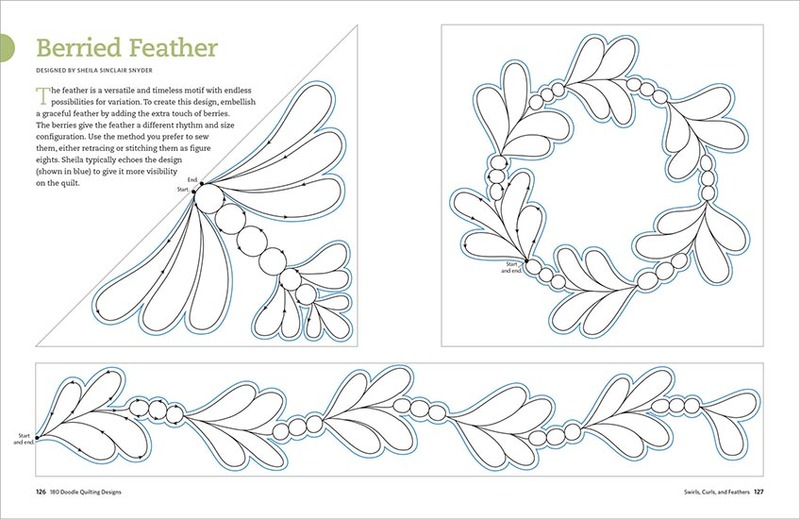 Arrows and directions explain how to use continuous-line motifs on a range of quilt patterns and borders, teaching how to practice approaches and view finished results by tracing designs on paper first. 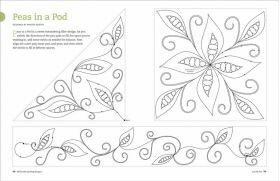 The result covers a broad range of ideas and the specifics of how to apply and test them before putting machine to quilt. An accomplished long-arm quilter, Karen M. Burns is a former member of Martingale's industry-leading acquisitions team. This group of crafting experts specializes in curating the highest-quality patterns by top designers in quilting, sewing, knitting, crochet, and other crafts. Since its founding in 1976, Martingale has become synonymous with outstanding craft books, with more than 24 million books sold worldwide.